Ozzy Inguanzo’s companion to the upcoming Warner Bros. film is a behind-the-scenes look at the development and design of the universe of Green Lantern. Not only does the book present an exhaustive collection of costume, set, environment and character designs, but also shows how those designs were interpreted by providing production photographs and final CG designs for the alien species and environments that were used to bring this film to life. What separates this from many other behind-the-scenes books is that Inguanzo has actually provided a production memoir with a narrative, documenting the entire production and uses both the copious photos/art and the insights of the production team to chronicle the process of creating a film universe. 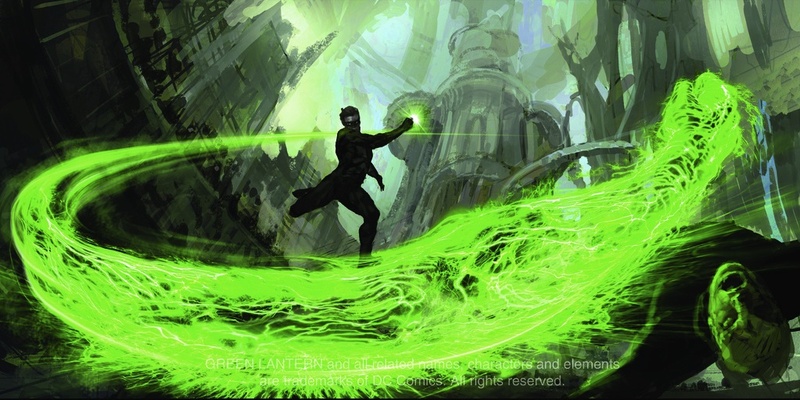 The challenge of developing the near infinite Green Lantern universe is taken by the talented artists who interpreted the iconic characters through digital, paint, and sculpture, resulting in the final designs that will be seen on screen when the film is released in theaters June 17. Whether a fan of the comic or of film, Constructing Green Lantern: From Page to Screen is a stunning book and a worthwhile addition to your bookshelf. Recommended.